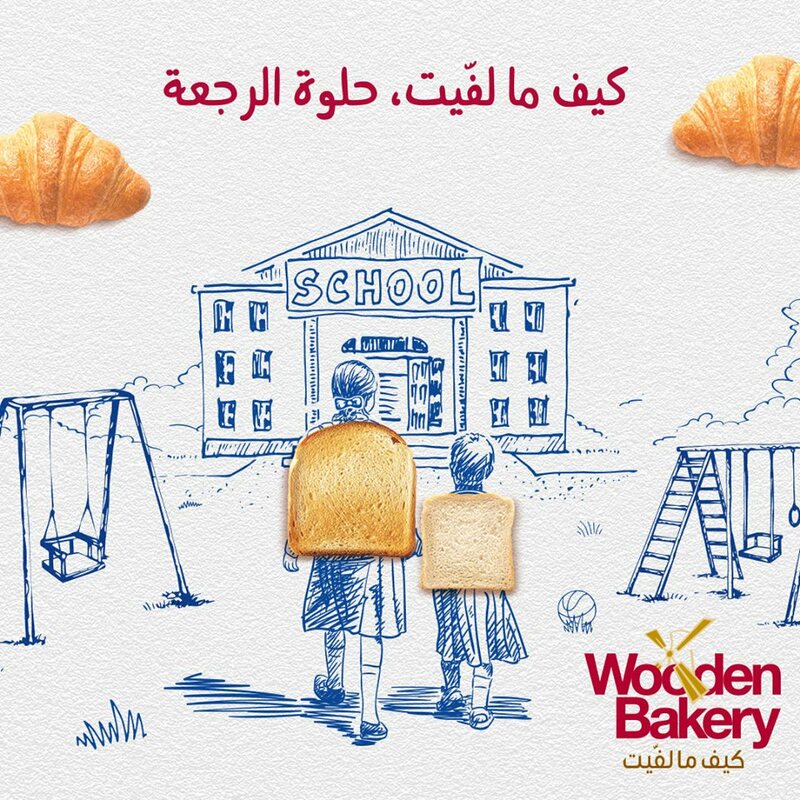 Wooden Bakery does the back to school better than anyone this year. Croissants instead of clouds? 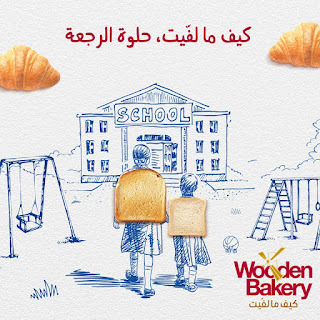 Sliced bread and toast instead of backpacks? It would not have worked if the background was not so "neutral" or even illustrated, but somehow all the elements conspired to give us this lovely piece of advertising. I am not so sure as to their new selling line though (kif ma laffeit - no matter how you turn which also means "roll the sandwich" - lame as a positioning). But we shall not let this small detail ruin the beauty of this small gem!